Source of title proper: Title taken from caption printed on recto of photograph. 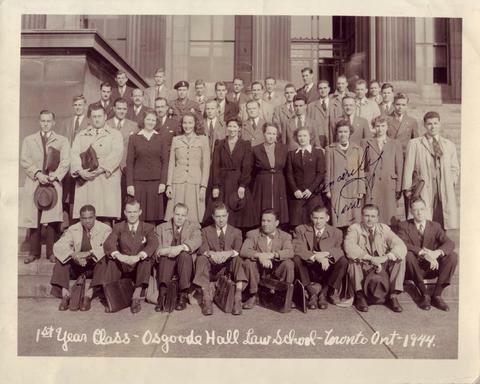 Item is a group photograph of the first year class of Osgoode Hall Law School in 1944, taken on the steps of the Registry Office. Photograph in the public domain.